Saber Interactive and Focus Home Interactive debuted the launch trailer for World War Z, the zombie-centric co-op shooter inspired by the movie of the same name. The World War Z trailer gives us a decent glimpse at what's to come, with a raucous clip set to the song "War," as performed by Black Stone Cherry. With four days out until the game debuts via the Epic Games Store, it's time to see what you're going to be getting yourself into. 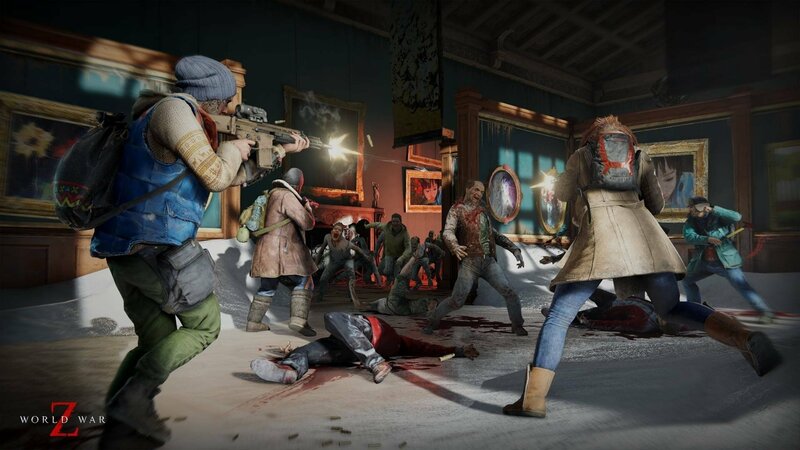 World War Z is powered by Saber Interactive's Swarm Engine, which allows hundreds of fast-moving zombies to pursue you at once, as well as strike as one herd or break off into individual attackers, which will make things decidedly hellish for you. Luckily, there are six different classes to choose from as well as a series of weapons, explosives, turrets, and traps to choose from to get them off your back and into the afterlife – whatever happens to zombies when they're finally dead, anyway. The game will feature four-player co-op campaign missions that take place around the world, from New York to Jerusalem to Moscow to Tokyo and other areas in between. You'll take on AI zombies and human opponents as well with team-based Players vs. Players vs. Zombies multiplayer modes. World War Z is available to preorder now, and if you decide to take the plunge, you'll get the free Lobo Weapon Pack with your copy, which includes three golden weapon skins and the dual-bladed Lobo spade. World War Z is coming on April 16 to PlayStation 4, Xbox One, and PC via the Epic Games Store. Let us know if you end up picking up a copy!